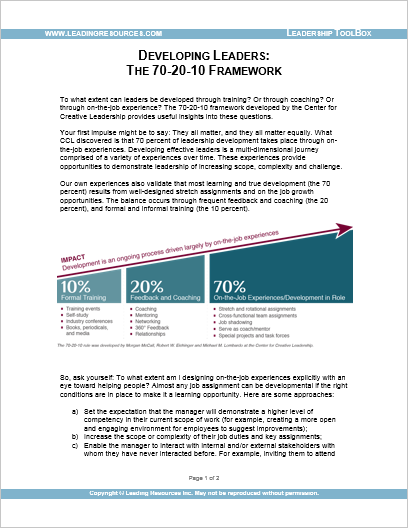 Help you apply the 70/20/10 framework to your leadership development program, assuring your leaders get the best combination of on-the-job learning, coaching and feedback, and training. Develop a tailored competency model that defines the specific behaviors, skills and competencies expected of leaders and managers at each level of your organization. Develop and administer 360 surveys for your managers and leaders and provide high-quality, in-depth analyses of their strengths and blind spots. 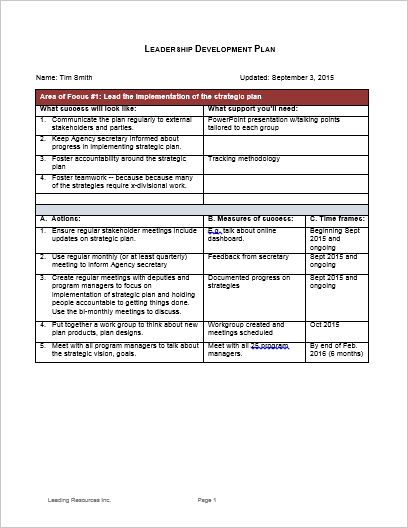 Help leaders within your organization create and implement individual leadership development plans. Help you develop an internal mentoring program. Conduct employee engagement surveys – and provide in-depth analyses and reports. Provide leadership coaching to your senior level and emerging leaders. Help you design and implement customized in-house leadership academies and training programs that incorporate all elements of the 70/20/10 framework. Analyze your succession needs and develop a succession plan that assures your continued success. Facilitate leadership development workshops for your team or organization. Download our white paper on Developing Effective Leadership Teams. View examples of client experiences to learn more.